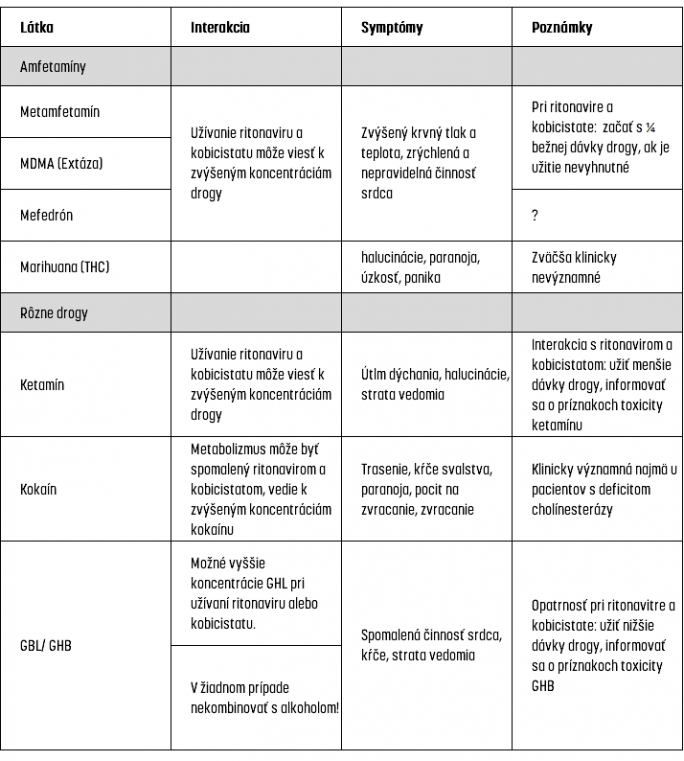 Triumeq® obsahuje lamivudín, abakavir a dolutegravir. Pozor na možná nebezpečí z užívání drog a léčby HIV! Antoniou T, et al. Interactions between recreational drugs anda ntiretroviral agents. Ann Pharmacother. 2002;36:1598-613. Hales G, et al. D.Possible fatal interaction between proteasen ihibitors and methamphetamine. Antivir Ther. 2000;5:19. Mirken B. Danger: possibly fatal interactions between ritonavir and “ecstasy”, some other psychoactive drugs. AIDS Treat News. 1997;265:5. Henry JA, et al. Fatal interaction between ritonavir and MDMAL. ancet. 1998; 28;352:1751-2.